The music and visual effects of this interactive presentation make it very useful for both students and teachers of world religions. Each slide of the 13 religions contains a brief overview of the featured religion as well as a Golden Rule statement and prayer from that tradition. Creative teachers will find lots of effective ways to use this presentation. 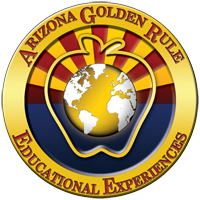 This chronology is authored by Dr. Harry Gensler S.J., one of the top Golden Rule scholars in the world. 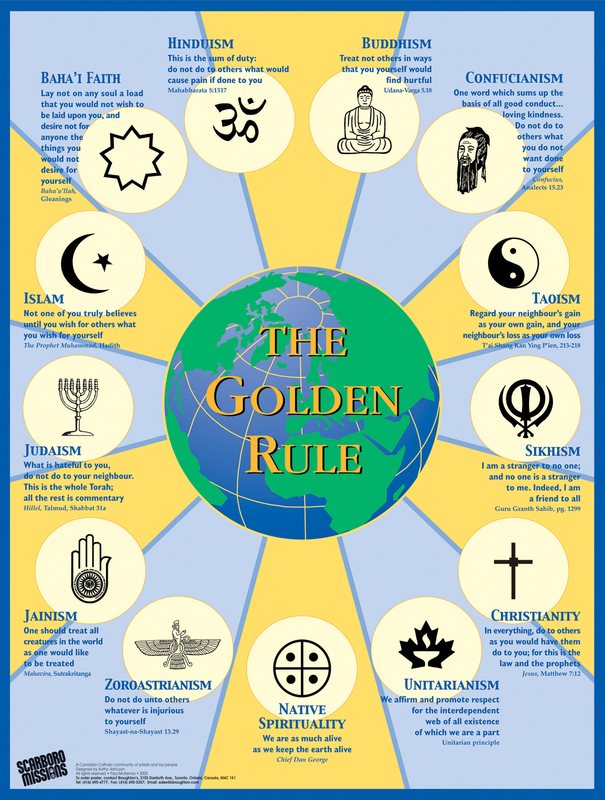 This 30-page document chronicles the history of the Golden Rule from ancient to modern times. 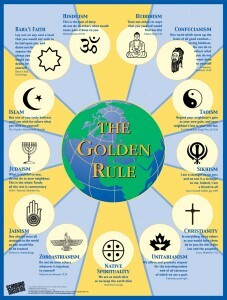 Essentially, the paper charts the ethical history of humanity through the lens of the Golden Rule. This chronological history is an ideal teaching tool with the capacity to reach a multitude of diverse audiences. It also has interfaith content.